My interest in farmers’ markets is very recent, like I just became interested maybe 2 1/2 years ago. During that time I was a student at Georgia State University and haphazardly stumbled upon Truly Living Well Center for Urban Agriculture in the heart of downtown Atlanta. It’s probably the city’s best kept secret and I encourage you all to check it out! Here are pictures from our very first visit back in January of 2014. It was days after our “snowpocalypse” so the selection was limited as most of the food was frozen. 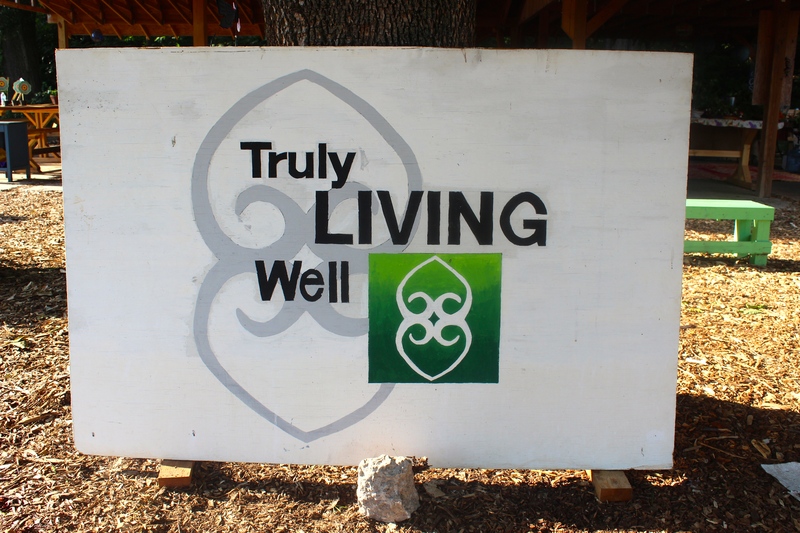 Truly Living Well actually has 2 locations in metro Atlanta. This one downtown and another located in East Point. We’ve never visited that one but I hope to soon. Remember my post about the Double Value Coupon Program sponsored by Wholesome Wave Georgia? Well they’re a partner market. How cool is that? If you receive SNAP benefits aka Food Stamps, you get double your money! We took another trip this summer! I had to get one! This one was is basil. I thought this was really neat and I had never heard of it before… An onion flower! Out of all of the super cool things at the market that day, he’d rather play with this the whole time smh. Visit their website prior to going. You can check out everything from their hours of operation and special events to what’s in season. 2. Mix and mingle while you’re there. Don’t just go get your produce and leave! Instead, ask questions, learn and become a part of the community. During our first trip in 2014 we met Tawhiyda who worked the Friday market as a volunteer. Can you believe that when we returned a whole year later she remembered us AND knew Camden’s name?! Now she’s the market manager, congrats Tawhiyda! Sorry for my tangent but building relationships is so important to me. 3. If you visit during the summer or fall beware of mosquitoes!! They bit Camden all over. He was a champ and didn’t act bothered but be prepared…you have been warned lol! 4. Consider joining their Community Supported Agriculture program (CSA) where members can hand-select their food which is usually harvested the day of the market. 5. Pay it forward and tell others about your awesome experience! When you visit please post pictures and tag me using the hashtag #TheFreshMom! Get your FREE breastpump today!